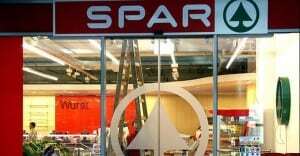 Vienna (dpa) – Austrian supermarket chain Spar will stop selling meat produced according to Muslim rules after only two weeks because the test sale caused a storm of outraged Islamophobic and xenophobic online comments, the retailer said Thursday. Spar employees had also faced verbal harassment in stores, Spar spokeswoman Nicole Berkman said, citing security concerns for ending the sale of halal meat. The dispute emerged amid a tense national debate about migration, with the population and parties split among those who want to stop the large inflow of migrants and those who support a humanitarian and open immigration policy. The halal meat had been sold in Spar‘s stores in Vienna, which has a sizeable Muslim community. Animal rights activists had joined in the negative online campaign, arguing that animals suffer when slaughtered according to the Muslim tradition. “We will not put up with Muslim rubbish in our country. This is our culture and it must not become subordinated to a barbaric ideological minority,” one user wrote on Spar‘s Facebook page. Although animals are not usually numbed before being killed according to halal rules, Austria‘s Islamic community accepts numbing, the spokeswoman said. “As a local retailer for all population groups in Austria, we are saddened and shocked about the tone of the discussions, but we are drawing the consequences,” Spar said in an online message.